Be it a honeymoon or just a getaway from the daily routine of a busy life, there are numerous places to visit with your partner. All you need is some planning with the help of good blogs, a horde of cash, a partner of course, and and you are just ready to take off for that dream destination! We have listed 10 dreamy and romantic destinations here for your reference. One of the most picturesque destinations lying in the southern Aegean Sea, Santorini is the most sought after wedding and honeymoon destinations. It is an active volcanic site, and hence the landscape has a very unique formation all packed with red, black and white sand and spectacular rock formations. The beaches are crystal clear and a wonderful retreat for newlyweds. The culinary delights it offers is the ultimate gastronomic experience. Be ready for all that fresh goat cheese and cherry tomato salads, all part of a romantic package. This destination is replete with blue water lagoons, exotic reef fish and colorful corals. You can view all this luxury atop your overwater bungalow, or witness beautiful sunsets from your private pool. All this accompanied by sumptuous food. What else does one want? Some must visit places are mount Otemanu, Matira Beach, Bora Bora Lagoonarium and leopard rays trench. Don’t miss out on underwater adventures like scuba diving and snorkeling. The best time to visit this place is from the months of May to October. A place situated in the midst of the mighty Alps, do we need to introduce the tranquil and picturesque Switzerland? The best time to visit this place is from June to August when the temperature is a good 18 to 20 degrees. During this time of the year, one can witness the famous William Tell festival where the locals dress up as folklore and perform the famous Schiller’s play. Switzerland houses the most sparkling glaciers and has the most quaint villages which make life around sound like a famous fairy tale. The trip to mount Jungfraujoch 11,000 feet above sea level, in the train atop the mountain can be a lifetime experience! Best known for Swiss chocolate, Switzerland offers a chocolate tour aboard the Swiss chocolate train with varieties of different mouth-watering chocolate. Also, Switzerland offers a variety of hillside cuisines which are a must try! Lying amidst the Caribbean sea, comprising of over 700 islands, the name itself suggests a holiday atmosphere. The archipelago boasts of the clearest water on the planet. Complete with the most delicious Latin cuisine and the most pristine beaches, it offers a most wonderful honeymoon package. There is no specific time to visit its beautiful throughout the year. This French capital known as the lover’s paradise is actually one dream destination for many couples. It boasts of museums, the famous Eiffel Tower, the best shopping experience in a pure French style. Fall in love all over again by the Seine river and visit hand in hand, the many cathedrals and quaint chapels that the city has to offer. A place so serene, that it is rightly named as gods own country. The ethereal beauty lies in the vast greenery. You may even feel at some point to lie on the beautiful green grass and just admire the beauty of the land, hand in hand with your partner. Selfies can follow. Do not forget to visit the Attukad waterfalls and the Marayoor sandalwood forests. Rejuvenate in the laid back atmosphere. The best time to visit Munnar can be from October to march. There is some kind of attraction for everyone out here. Right from majestic mountains to sand kissed beaches, from traditional temples to the old world charm. It’s a perfect getaway for the weekend. In addition to the local markets and scenic waterfalls, it also offers many yoga retreats to rejuvenate mentally and physically. This amazing country has a lot to offer. Amongst one of the very developed nations, Singapore has a roaring tourism industry. Right from the Botanic parks, to the exotic Zoo, which is one of the best zoos in the entire world. The finger-licking street food is an added attraction which you will find around Chinatown. Sentosa is another resort which has a very nice aquarium which should not be missed. Singapore has a lot to offer for everyone. A perfect retreat for a couple with its winding streets, romantic gondolas and historic canals. It is expensive but beautiful at the same time. It must be on the wish list of every couple owing to its gorgeous attractions. It’s a small island where you can get lost in its medieval churches, small marketplaces, and old buildings. With a viniq in hand, you are sure to be lost in this wonderland. Ever heard of this beauty lying in Melbourne, Australia? It’s famous for its amazing scented gardens and wines. You and your partner can get lost in its gardens with the perfect glass of Andre champagne. It is indeed a quaint little village with lovely landscapes, delectable cuisines, and stretchy sandy beaches. Perfect couple getaway. 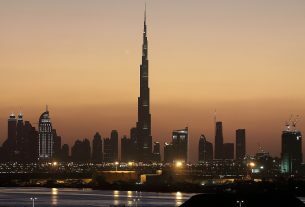 Numerous places to visit, delectable cuisines to be tasted, couples can get cozy at these famous destinations listed above and get lost in its surroundings. The right information and proper planning can give you a memorable trip. Ever been to any of these places? 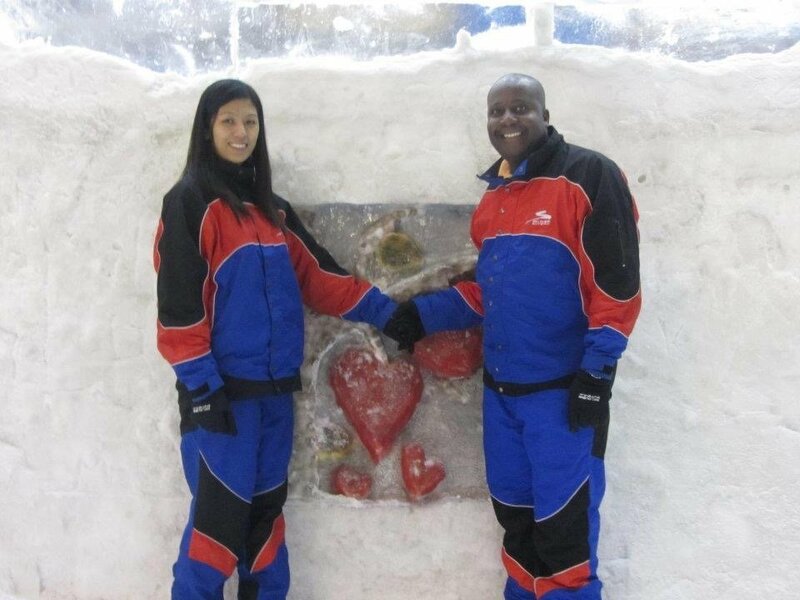 What was the most romantic place you ever visited? Share with us your experience. Jessica Smith has been writing for a few years now. She is a writer by day and reader by night. Holding on to her passion for travel, she believes that traveling helps her see the world and gives her positive energy to live. Photos credited to respective owners. One day! When you can, you can travel with your kid and take him to different places! Love this guide!! My fiancé and I are thinking of taking a trip before he starts residency and this is super helpful. I was recently in France and truly enjoyed my experience there. Greece is also on my list and Bora Bora would be amazing! Go go go! Travel as much as you can! France is awesome! Greece is also on our list. Wow i love your list! Santorini is what I am eyeing for our travel date very soon. Before I get to say my pick on your list, would love to comment on what you said – that showing our love should not be on Valentine’s day alone, it supposed to be done every day. Yes to that! So anyway, my top choice would be Santorini. Never been to EU but wouldn’t miss this for the world if given the opportunity to travel EU. Hi Sheena. Appreciate your kind words. Me too, I want to visit Santorini. I should try visiting these places with my friends. Yes. Thanks for stopping by. On your article you said about Bali, I agree Bali is become famous place to visit. And Bali is one of several island in my country. That is awesome! We have been to Bali, and we loved the place! Oh yes! Santorini is also top of my list. I think It’s the second most romantic place and the first one will be Paris. I’ve been to Bali twice and it was also like heaven on earth! I will never get tired of going back there. Yes to Bali and Santorini!!! I am single and don’t have anyone to go with me. But I fell in love with Nassau because I loooooooooooove beaches! No worries. 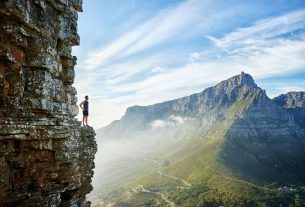 You can still go and enjoy those places as a solo traveler! LOVE this post! It’s made but so many of these places are on my hit list. A couple i’ve already visited with my partner, but definitely planning to work our way through. Santorini looks incredible and i’ve heard such great things. As for Bora Bora, I NEED to go here! Awesome! Thanks for checking out our list! What a beautiful as well as romantic post. It is really good for couples to rove this place. Thanks, Elizabeth! Appreciate you stopping by. Bora Bora is my all time favorite. Thanks for sharing this beautiful post! 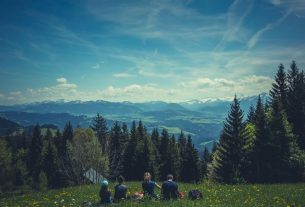 You have put together a wonderful list of places that no matter what type of traveler you are one of them is sure to become your favorite place to visit with a significant other. 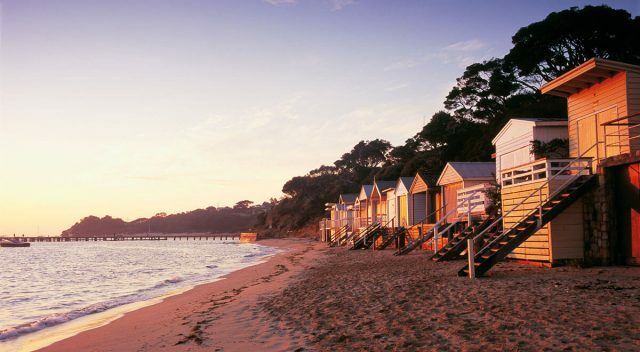 The Mornington Peninsula sounds like the perfect one for us and is going on my bucket list. Thanks, Paula. Appreciate the kind words. I heard a lot of good things about Santorini, and my friends have been there and showed me their photos. I really like to go there! 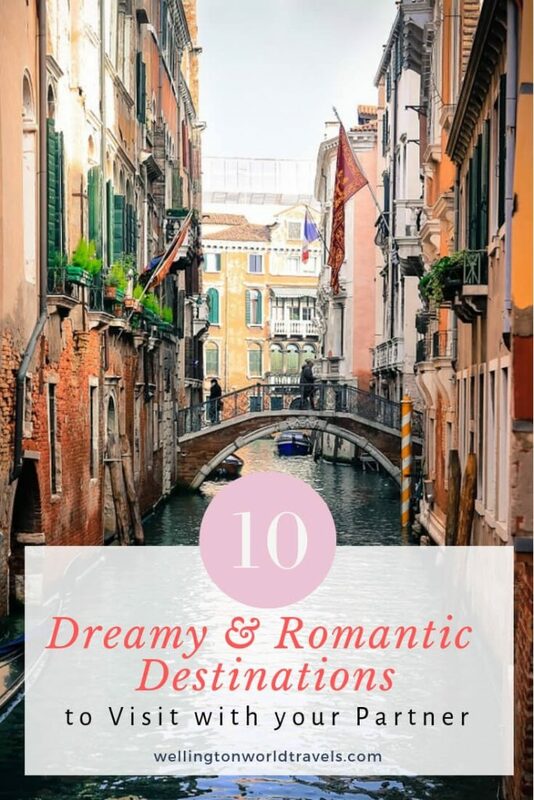 Such a great list of dreamy and romantic places. I would love to visit Venice the most of all your suggestions. Venice is a beautiful place! These destinations are just perfect. Love to visit these magical places someday. Awesome! That would be great! Wish u a happy valentine’s day. Your list is really helpful for all the couples out there. And I am from Kerala(no 6 in your list). Thanks for sharing. Awesome. Glad you find the post helpful! It makes me happy to write that I’ve been to six of the places listed here! We live half the year in Veneto, so Venice is always somewhere we travel to. Bora Bora looks amazing, and super romantic too! I’d love to get there one day. OMG! You are awesome! and to live in Veneto, double awesome! The only one on the list I’ve been to is the Bahamas. I’d love to visit the other places. Great list. I’m planning to surprise my boyfriend with a trip to the Bahamas this summer. Santorini and Switzerland is always on my list to bring my wife to. Thanks for sharing this list. I have 8 more to research. Never been to Santorini (hopefully in the future). But I have been to Switzerland, it’s an amazing country!!! Me too! Bora Bora and Santorini!!! 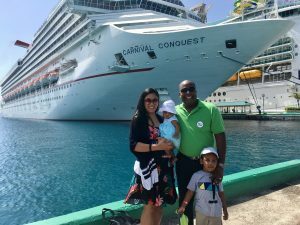 I have been to the Bahamas on a cruise, but with the whole family and friends. So many beautiful places to visit! My husband and I are definitely going to be world travelers soon. I agree! And I am sure there are more romantic places around the world. Love all your suggestions and that they’re not restricted to one area in the world. I have never been to any of these destinations, however they sound amazing! Thanks for sharing! oh! I’ve been to Nassau and it was amazing! so relaxing ! I would LOVE to go to Greece – it looks sooooo gorgeous!! I sooo totally agree with you! I have all of the wanderlust feels now! I haven’t been to Paris with a partner before but I do love it. I loved Paris. Hubby and I enjoyed our quick trip there. Thanks for stopping by, Rachael.